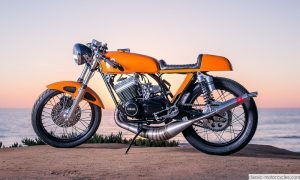 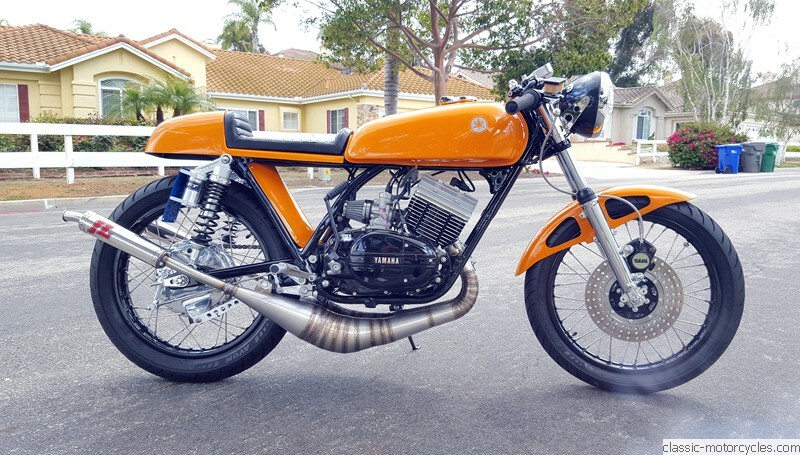 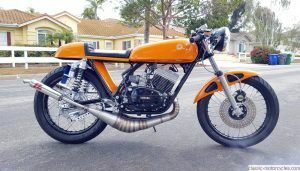 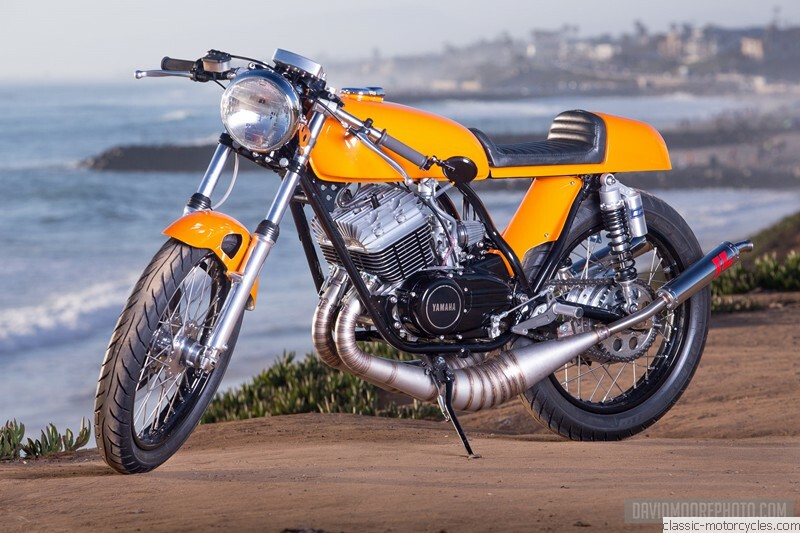 The 1975 Yamaha RD 350 was universally lauded as “a race-bred motorcycle in a street-machine’s clothing.” This high-performance custom RD gives “race-bred” a whole new meaning. 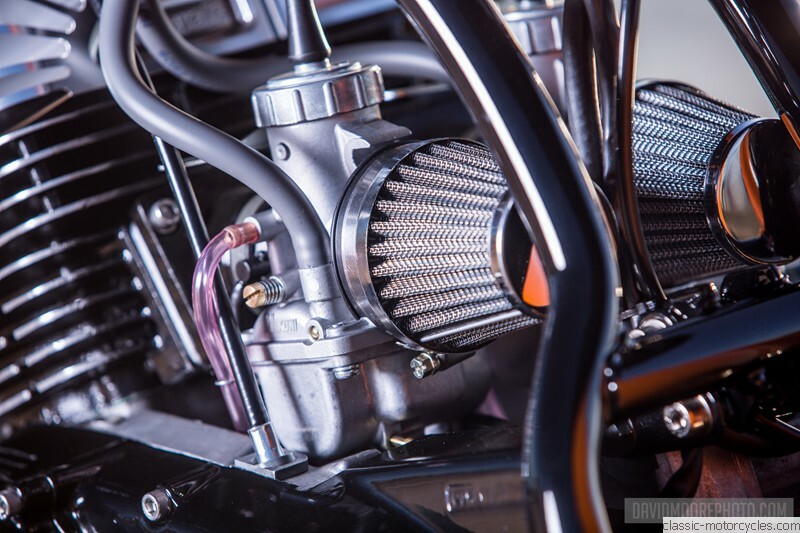 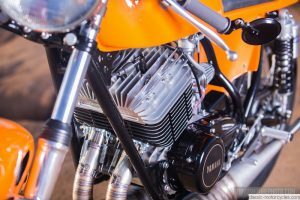 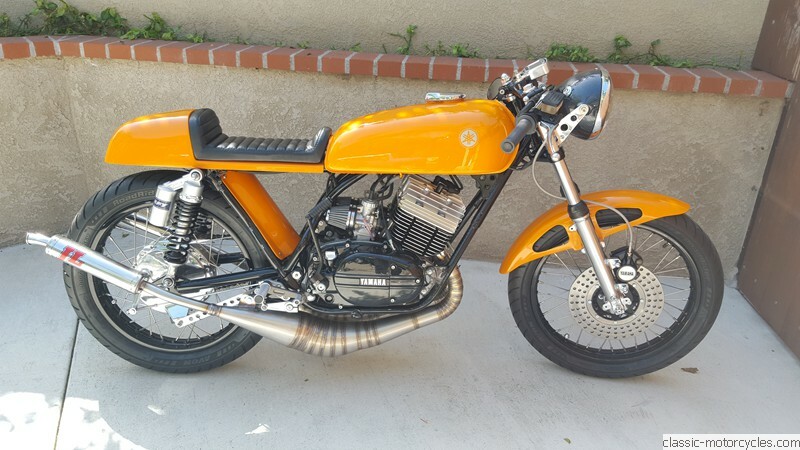 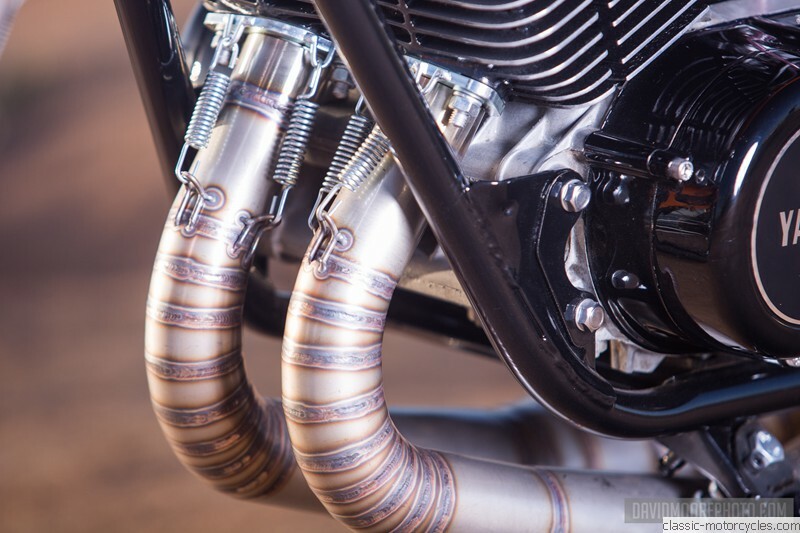 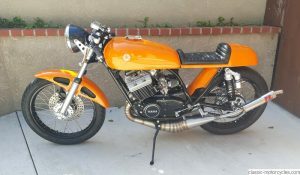 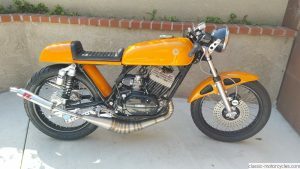 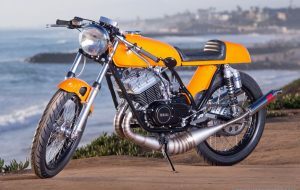 It has 32mm Mikuni carburetors (versus the standard 29mm), HVC high-performance cylinder heads, a pointless magneto ignition system and a Jim Lomas stainless steel ultra-light exhaust, all of which put out a mean 50 HP. 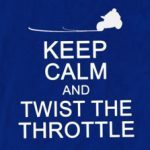 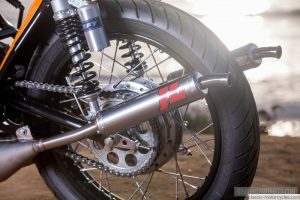 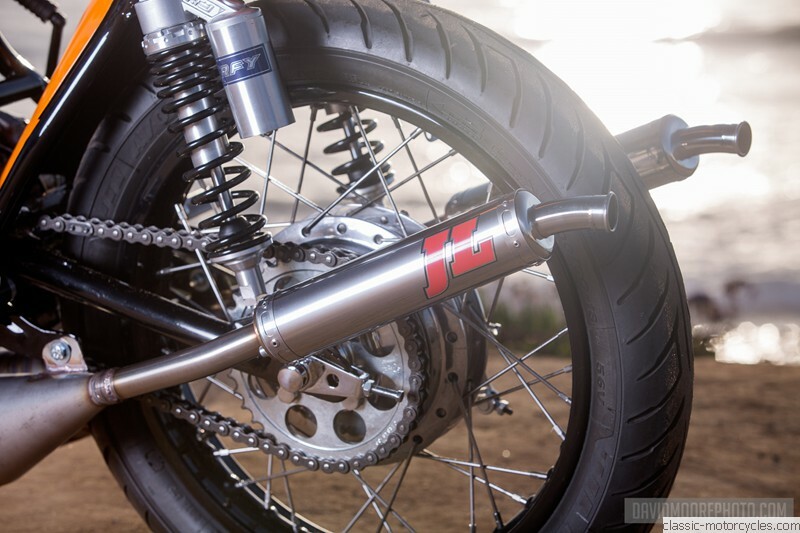 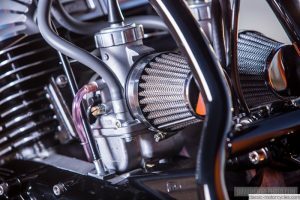 Other modifications include: Magura brake master cylinder, HVC billet rear sets, and a custom-made rear seat and seat cowling. 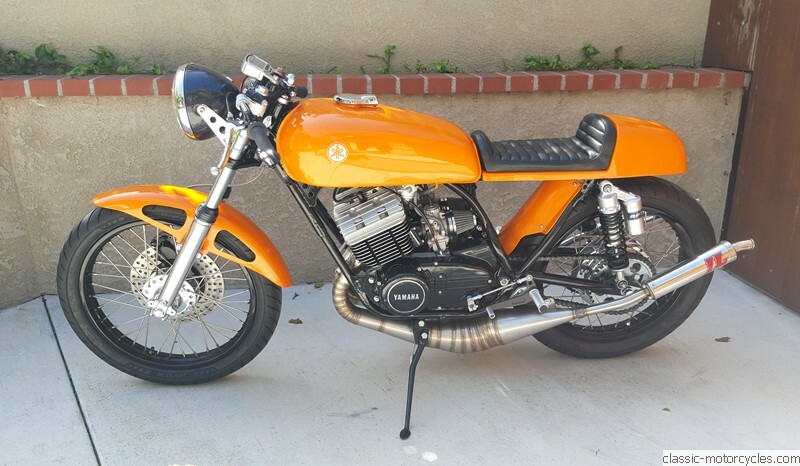 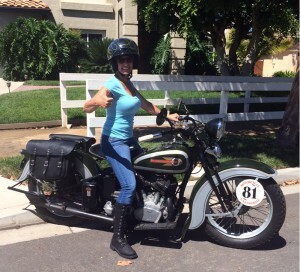 Ziggy of Classic Motorcycles did a ground-up restoration of this motorcycle in the spring of 2016. 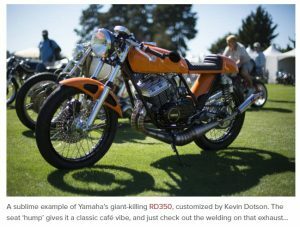 The bike was a spectator favorite at the Quail Motorcycle Gathering in May of 2016.